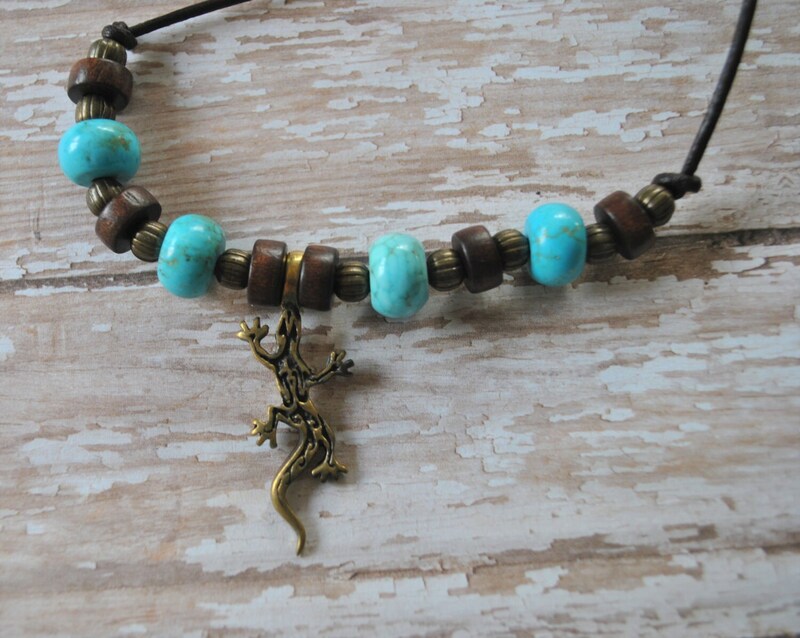 Men's brass lizard and bead necklace. 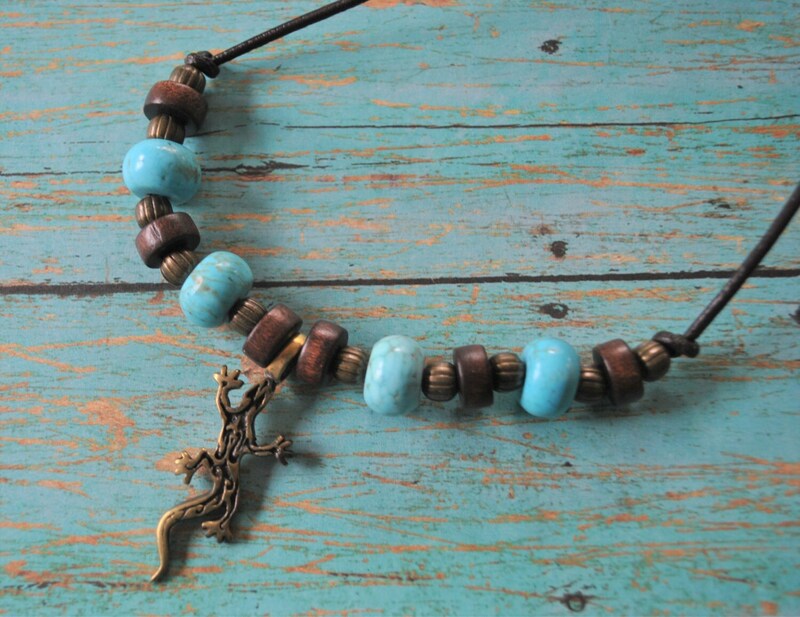 A carved brass lizard is the center surrounded by wooden beads, brass beads and large turquoise howlite stone beads. This necklace is on a brown leather cord with brass lobster clasp. A great Southwestern look! Lizards play positive roles in the folklore of many Native American tribes. In Plains Indian tribes, lizards are associated with healing and survival, and also with masculinity. In some Plains tribes, a newborn boy's umbilical cord was sewn into an amulet in the shape of a lizard to ensure his health and strength. Today, many Cheyenne people still consider it bad luck to kill a lizard. In the mythology of some California Indian tribes, such as the Pomo, Lizard was one of the major figures of creation, who made humans partially in his image. In Southwestern tribes, horned lizards (sometimes called "horny-toads" in English) are considered sacred medicine animals; Gila Monster (a type of large poisonous desert lizard) features as a powerful hero in Navajo and other Southwestern legends. 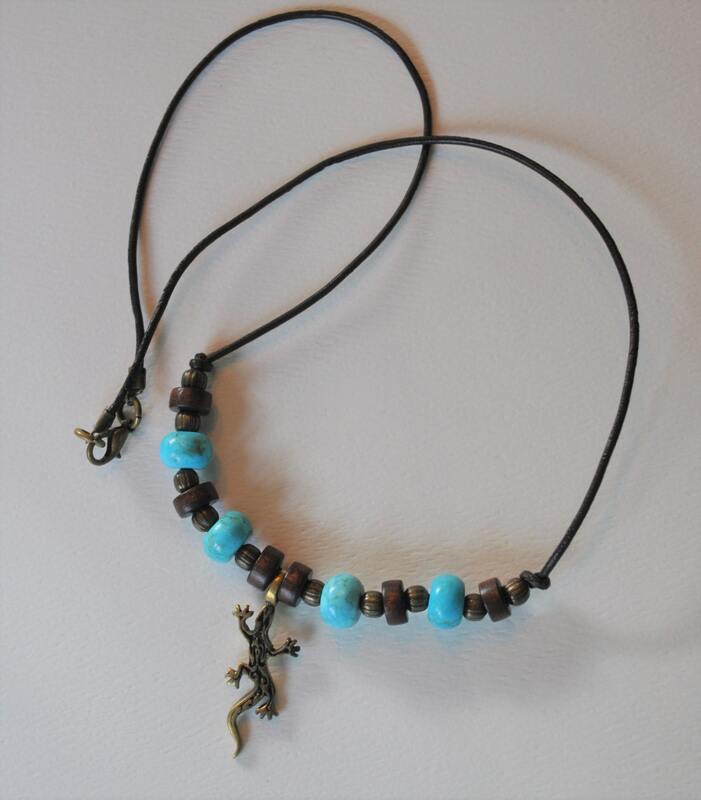 In other tribes, lizards are associated with protection (especially of children), prosperity, renewal, and good luck. 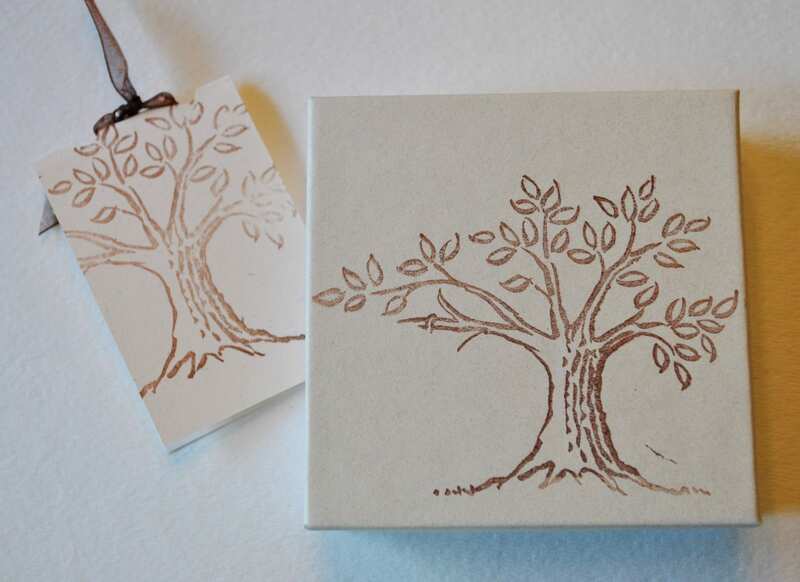 Thank you for stopping by my Etsy shop …I hope you visit often!